"F**k off, you can have as many captains as you want." 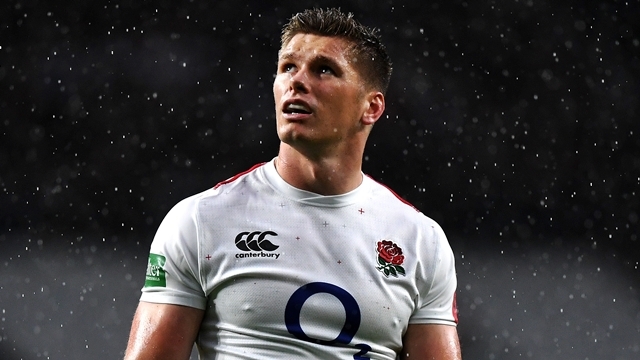 As much as Owen Farrell tells us that he will be fit for the opening game of the Guinness Six Nations, against champions Ireland, talk abounds about who will lead England out at the Aviva Stadium. With Dylan Hartley out injured, and with Farrell recovering from a 'minor procedure' on his thumb, there has been much speculation on the England captaincy. Should Farrell miss out, Eddie Jones could turn to Maro Itoje, Billy Vunipola, George Ford or Joe Launchbury for the Dublin clash. 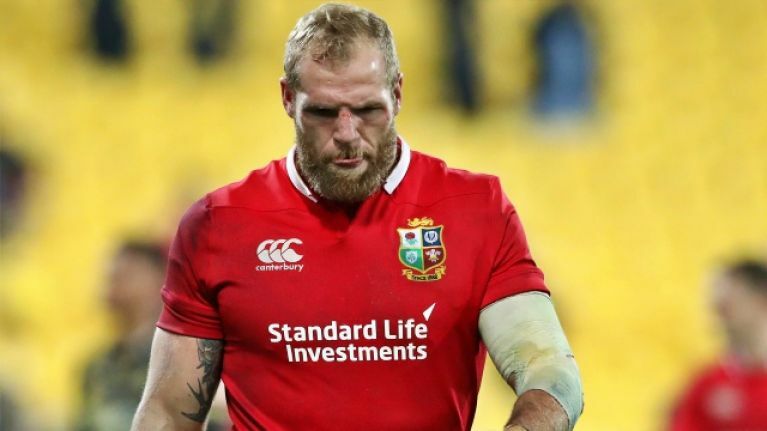 James Haskell has some experience of club captaincy and has played under the likes of Farrell and Hartley, but he believes too much is made of the role, especially when it comes to Test rugby. Haskell, who joined host Alex Payne and Mike Tindall on House of Rugby, took issue with former England coach Clive Woodward's six-point checklist [must work well with the referee, respect of his teammates, etc.] for a player to be suitable to lead the national side out. He also had some words for those focused on the captaincy. "Him, and some of the other pundits and journalists, have become obsessed with this captaincy thing," said Haskell. "As if, like, if we don't pick the right captain, the wheels are going to come off. "Right, half of the decisions making on the field, like kicking for goal and stuff like that, are dictated by the coaches. You see them going, 'Run the f***ing tee on! Get the tee on! ', and you see the kicking coach come on. "Ideally, there are 14 other people on the field who make the decisions [too]. If you listen to these people, you'd think we're trying to herd cats! Like if someone doesn't motivate us we'd go, 'Ohh, what are we here for?' It's not how it works. "You have to have multiple leaders and it doesn't matter who tosses the coin. It doesn't matter as long as you've got other, stronger characters. And the beauty of this current English team is that there are a lot of guys now with a lot of experience. "While it is important to have a figure-head... and that's why everyone got their knickers in a twist about co-captains. [Mimics voice] 'Well, I think you should just have one captain'. F**k off! You can have as many captains as you bloody want; it doesn't matter. "Who's going to lead the team out? Who cares! It's about winning the game and making the right decisions on the field. And people get so bogged down about this. 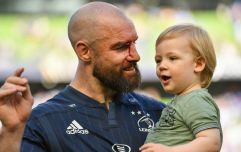 "[It's] normally people who don't have a f***ing clue about rugby, who think, 'Oh, the captain is the most important person on the field'. It's not. [For England] you've got Billy speaking well, Maro speaking well, George Ford making the right decisions." Haskell points out that a lot of the on-pitch calls are common sense. If the lineout and pack is going well, kick for touch. If not, go for goal. If there is time on the clock and the opposition are under the pump, take the scrum. And so on. The Northampton back-row says captaincy is not like it was in 'the Willie John McBride days', when the Lions captain would rally his team to go toe-to-toe with the opposition. The game is professional now and players at Test match level are expected to be clued in and self motivated. With many Grand Slam winners still in this England squad, one would certainly hope so. Episode 15 sees Alex Payne joined by Mike Tindall, and James Haskell to look ahead to the Guinness Six Nations, talk captaincy duties, debunk some Clive Woodward claims and settle old, amateur rugby scores.